When attempting to tackle the age old problem of antisemitism, the very first thing to do is to understand the meaning of the word. The one aspect of the word that is understood across the board, is that even though the word contains “Semitism”, it only refers to the Jewish people. Semites include both Jews and Arabs, yet antisemitism has never applied to Arabs. While the actions that can be labeled as antisemitic go back thousands of years and are documented in the Jewish Bible as early as the book of Exodus, the word itself is much younger. 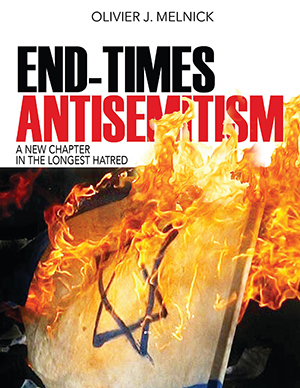 Many theologians, philosophers, pseudo-scholars and historians published numerous works against the Jewish people throughout history, but it is not until the late nineteenth century that the word anti-Semitism was coined. The first usage of such a word was by German journalist Wilhelm Marr who in 1873 published a pamphlet titled: “The Victory of the Jewish Spirit over the Germanic Spirit. Observed from a non-religious perspective.” In the pamphlet, he used the words Semitismus and Judentum interchangeably to describe Jewry and/or Jewishness. The usage of the word Semitismus led to the coining of the word Anti-Semitismus used in another pamphlet titled The Way to Victory of the Germanic Spirit over the Jewish Spirit”, in which Marr clearly sated his feelings about the Jewish people. In 1881, to remove all doubts, Marr founded the first German organization dedicated to fighting the “Jewish threat” to Germany, thus The League of Anti-Semites was born. The usage of the word continued to spread and was widely accepted by 1885. Since that time, many reputable scholars have documented antisemitism through the ages, and have introduced their own definitions of the word, some better than others. Organizations helping to define and fight antisemitism, could be divided into Jewish and non-Jewish. 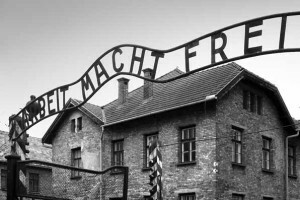 Jewish organizations such as the Anti-Defamation League (ADL), Yad Vashem World Holocaust Remembrance Center, the United States Holocaust Memorial Museum are often more in tune with Jewish history, customs and/or the scarred jewish psyche of the post-holocaust era. This is not to say that non-Jewish organizatons and/or scholars are insensitive or unaware of the trauma of antisemitism, but simply that there is a Jewish component to it making it much more personal to the global Jewish community than the rest of the world. A perfect example would be the 2008 US State Department definition: “Anti-Semitism is a certain perception of Jews, which may be expressed as hatred toward Jews. 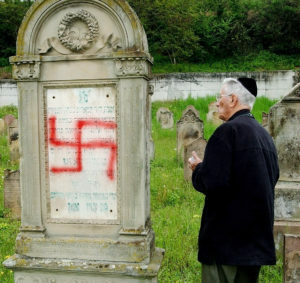 Rhetorical and physical manifestations of anti-Semitism are directed toward Jewish or non-Jewish individuals and/or their property, toward Jewish community institutions and religious facilities.” It is not from a Jewish institution and as a result, lacks some clarity and factual boldness. Yet there are scholarly works done by non-Jews that excel at defining antisemitism. Edward Flannery “the Anguish of the Jews” or “Toward a Definition of Antisemitism” by Gavin Langmuir are two of several that I would recommend. So , definition vary in clarity and weight. I am saddened and concerned about this nebulous description of “the longest hatred.” While the second part of the definition is helpful in qualifying that antisemitism can be both in words and deeds, the first part of the sentence uses words that are watering down the whole definition. Words like “a certain” or “perception” or “may be expressed” are a very weak way to describe the on-going irrational hatred against the Jews. I find it hard to believe, but it is almost as if these words were selected with political correctness in mind. 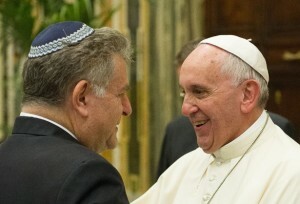 It is interesting to note that the Alliance also based its working definition on a document known as the “Declaration of the Stockholm International Forum on the Holocaust.” While that document is a great work aimed at describing and denouncing the Holocaust, it must be understood that antisemitism precedes the Holocaust by more than twenty centuries and continues beyond the 1940’s with a revived and repackaged version of contempt against the Jewish people. So defining antisemitism using mainly a foundation of Holocaust is too narrow. The Simon Wiesenthal Center reported the adoption of the [not so]new definition and praised it. In their mind, it “will force European countries to confront the growing crisis head-on.” I think that the definition would be clearer and much more powerful if it didn’t try to package antisemitism and Holocaust denial under the same umbrella. Holocaust denial exist because of antisemitism and must be fought as such, but it does not exist alongside antisemitism. A simpler definition of antisemitism would work even better. It deserves to be more succinct, direct, and bolder in terminology. I propose this one “Anti-Semitism is the irrational hatred of the Jewish people characterized by destructive thoughts, words and/or actions against them ”. Under such a definition, we can include Holocaust denial, BDS, Christian Palestinianism, Replacement Theology and many other erroneous claims demonizing the Jews and/or Israel. When it came to define antisemitism, the International Holocaust Remembrance Alliance was faced with the challenge of getting 31 countries to adopt the same working definition, and I am certain that it wasn’t an easy task. By their own definition, they are “an intergovernmental body whose purpose is to place political and social leaders’ support behind the need for Holocaust education, remembrance and research both nationally and internationally.” I still feel that their agreed upon final draft was too vague and thus less than satisfactory if their goal is to fight those who want all the Jews dead and Israel off the map! But the Genesis 12:3 principle doesn’t stop with the biblical narrative. It continues through time as we can see with the Spanish empire that had been leading Western Europe for close to 600 years until the late 1400’s. That era was known as the “Golden Age” of Spain and it lasted until 1492, a date that according to most historians and scholars isn’t only the time when Christopher Columbus “sailed the ocean blue”, but also the year when Queen Isabella chose to drive out all the Jews of Spain. Subsequently, 1492 became known as the start of the decline of the Spanish empire. With the advent of the migrant crisis in the last two years, Europe has now been placed on a collision course. Germany and Sweden are leading the way in what could become to the first country wide cultural suicides. They are plagued by a brand of political correctness that has crippled them. They have lost their ability and in some cases their willingness to fight for their native sovereignty and established law of the land. Belgium, England and France are not far behind. While we cannot dogmatically ascertain the connection between Jewish expulsions and God’s curse, there is a strong possibility that the steady, exponential and irreversible decline of Europe might be a result of these nations disdain for the chosen people of G-d. This certainly doesn’t place all Muslim as a curse to Europe, just like not all Germans were Nazis, but one cannot ignore the on-going cultural and demographic jihad happening in Europe. “G-d’s foreign policy as it pertains to Israel,” doesn’t allow for any grey areas. You bless or you curse and the results, while not always immediate and similar, have always been in kind– a curse for a curse and a blessing for a blessing– The wake-up call is imminent and many will be surprised! Terror in Israel: Lone Wolves are still Wolves! In the last month, Israel has reported almost 800 acts of terror. 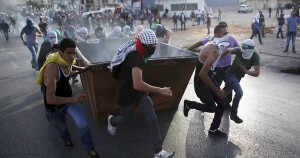 Much speculation arose in the media around the globe as to the possibility of a third Intifada slowly taking place. Yet, as of now, if we compare the current events to those of the First Intifada of 1987-1991 and of the Second Intifada of 2000-2005, we are not seeing an out-of-control uprising of a large number of Palestinians. It is simply too early to tell. There is little doubt that it could pick-up more momentum and become a third Intifada, but for right now it appears to be a random series of acts of terror by Palestinians acting as “lone wolves”. Frankly, the recent attacks on Israeli citizens–as isolated and sporadic as they have been–are still posing a great danger to everyday life in the land. They represent individual jihad more than a third Intifada, but at the end of the day, the same people are targeted, the same people are victimized and the same agenda is promoted. Terror is terror is terror! Many unnecessary fatalities have been reported. • October 20: The stoning of a car forced an Israeli citizen to exit his vehicle and led him to be killed by a moving truck. • October 18: A Palestinian grabbed the rifle off an IDF soldier, killed him and wounded eleven more people. • October 13: A stabbing and shooting on a bus in Southern Jerusalem led to the killing of 4 people and wounding 15 more. • October 1: Shooting to death of a young couple under the eyes of their wounded young children. These acts are all different which makes them nearly impossible to predict or thwart. This unpredictability is possibly the greatest threat to Israel right now. Israel has become a world leader and expert on how to detect explosive devices ahead of their detonations. But how do you detect a knife made out of a school ruler? How do you predict the stoning of a car on the road? How do you avoid a car running into a group of people waiting at a bus stop? It is simple…You don’t! Martyrdom has long been part of the Palestinian culture. Young Palestinians are indoctrinated at a very early age against Jewish people. 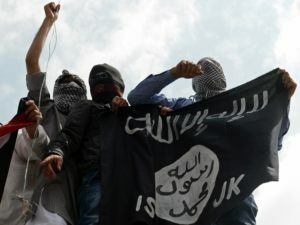 They are told and taught about “killing Jews.” Death is part of the fabric of many Muslim countries in the Middle East, especially when it is connected to Israel. The promise of a “heavenly harem” of 72 virgins along with financial incentives to the families of homicide bombers have been common practice in Palestinian circles. Not every Palestinian is keen on losing their life to “the cause”, but just about anyone would be willing to randomly hurt Israelis as they have done recently. This demands a very small investment of willing “Palestinian Martyrs” and thus is a cheap method of terror that becomes very attractive to many. We can expect a lot more of these acts in the upcoming weeks. It was good to hear that the US decided to cut its financial aid to Abbas by $80 million (why they still sent the remaining $290 million defies logic). 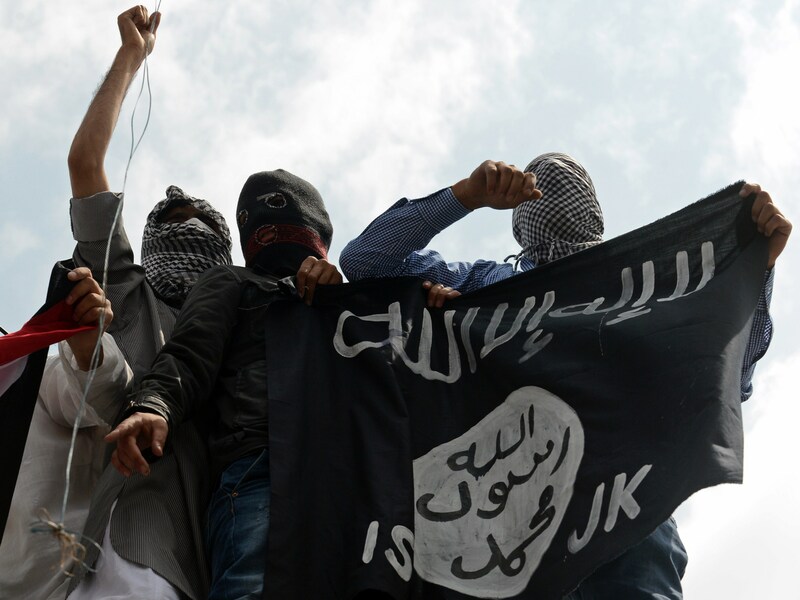 Financial help to a terrorist group is basically terrorism. Why would we look at any other terror states such as Iran funding Hamas, Hezbollah or Al-Qaeda and see them as terror partners but ignore the United States involvement in terrorism? Not one dollar of the $290 million that the United States sent Abbas in 2015 was ever justified, unless of course we bought Abbas’ lies about Palestinians being the victims of the Israeli occupation. The fact that the US retained $80 million in funding shows that something is wrong, but it is akin to trying to get somebody to stop smoking by pulling a few cigarettes out of their pack and letting them smoke the rest. It simply won’t work! This current wave of spontaneous terror attacks on Israeli citizens and soldiers is not an intifada per se, at least not an “old school” intifada. Yet it might end-up being more damaging than the previous two intifadas. If creativity prevails, we will see more attacks in ways that nobody could predict. This has become a logistical nightmare for Israel. No wonder the mayor of Jerusalem recently announced to its Jewish residents that if they had a valid carry license, they should never leave home without a firearm. The wolves attacking Israel might not come in packs and might be far from being well organized and structured, but they remain wolves with a ferocious appetite for Jewish lives. It is not about Jerusalem, it is not about the Temple Mount and it is not about the disputed territories. It is simply about the complete eradication of Israel and all Jews. I will lift up my eyes to the mountains; From where shall my help come? My help comes from the Lord, Who made heaven and earth. He will not allow your foot to slip; He who keeps you will not slumber. Behold, He who keeps Israel Will neither slumber nor sleep.